Global Law Experts (GLE) is a premier guide to leading legal professionals throughout the world. 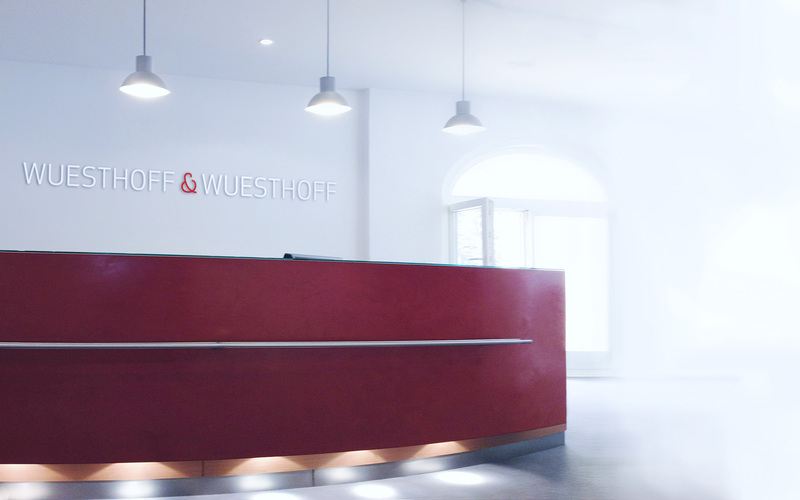 GLE has chosen Wuesthoff & Wuesthoff for the 8th Annual Global Law Experts Awards as the winner in the category "Patent Prosecution Law Firm of the Year in Germany – 2017". 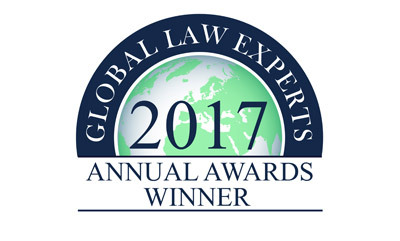 During the recommendations stage for the 8th Annual Global Law Experts Awards, GLE received over 150,000 responses from business directors, in-house legal counsel, independent law firms, high net-worth individuals, bar associations, visitors to the GLE website and LinkedIn users. These recommendations were combined with GLE’s own independent research in order to create a shortlist for each award category. The shortlisted candidates were then judged by GLE based on client testimonials, key cases, legal rankings, overall reputation, publication contributions, speaking engagements and the performance and standing of teams and individual lawyers.